I don't know about you, but I am having some serious winter blues as of late. Developing a case of cabin fever and it being far too cold to do anything outdoors, we followed the Dalai Lama's sage advice; "Once a year go someplace you've never been before." I'm sure he didn't mean the Niagara Falls Aquarium, but we do the best we can... and after all this is a place I've never been before in all my years in Western New York (and it's inside = warm!). 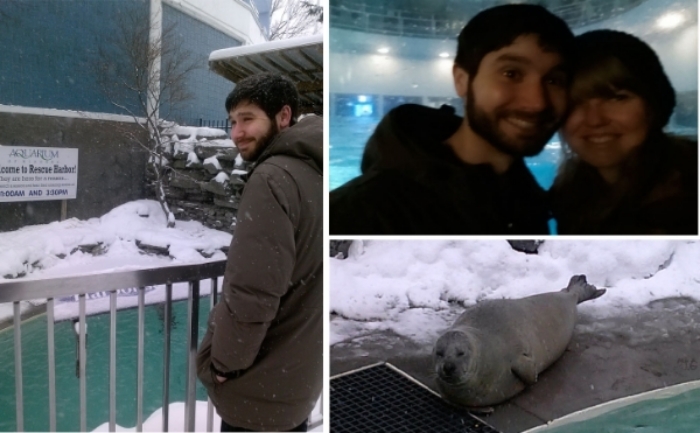 Just in case you wondering (which I'm sure you were) the middle picture is a sea lion show which was obviously AMAZING. 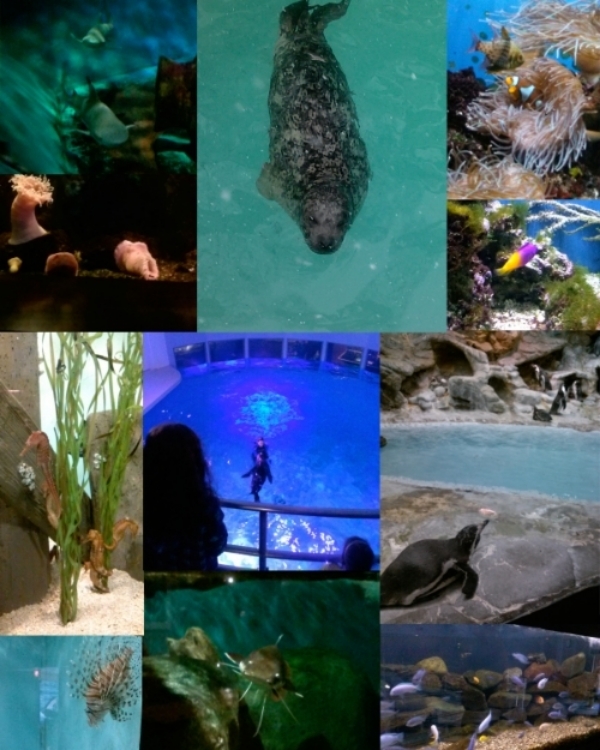 Those sea lions, my goodness. The colors and the shapes are so unique. It's so amazing that all of these animals and plants live together and naturally just have these bright beautiful colors. And I thought I didn't like fish..
Alex loves the Aquarium as you can see, but the most important part of this picture is Sandy in the bottom right corner. She has cataracts in both of her eyes and was rescued from the coast of Washington State. She was just hangin' outside waiting to greet us on our walk inside. Isn't she perfect? I'm in love. We finished the night off with pajamas, ice cream, knitting and watching a movie. Pretty perfect I'd say.